These blinks outline the key principles for building a healthy organization where all the employees pull together in the same direction following the same objectives. This enables organizations to achieve their full potential, while unhealthy competitors waste resources in internal squabbles. 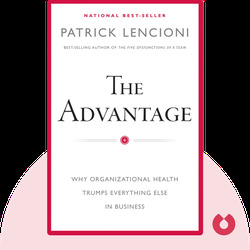 Patrick Lencioni is the founder and president of The Table Group, a management consultancy specializing in organizational health and the development of executive teams. He has authored ten business books that together have sold over three million copies globally. His best-selling book is The Five Dysfunctions of a Team, the key ideas of which are also available in blinks. 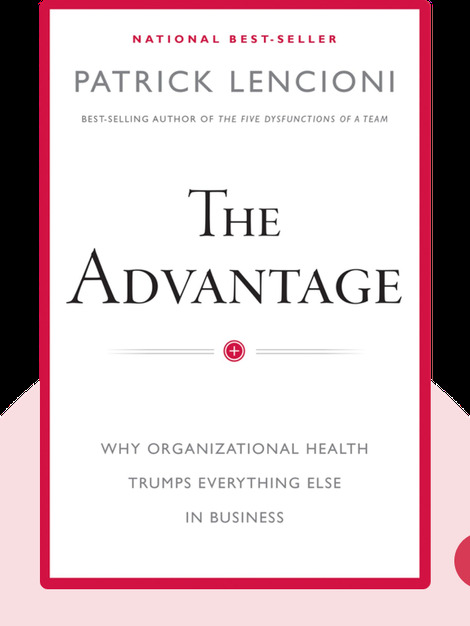 Patrick M. Lencioni: The Advantage copyright 2012, John Wiley & Sons Inc. Used by permission of John Wiley & Sons Inc. and shall not be made available to any unauthorized third parties.